Last night saw the 2018 Creative Arts Emmy Awards take place in Los Angeles. Though not televised, the ceremony features not only many technical awards but some of the more interesting categories, including awards for reality TV and animation. This year, among the biggest winners were RuPaul’s Drag Race and Queer Eye, two of our favorite series. The biggest news of the night was the addition of three new individuals to the EGOT club. As of last night, R&B singer John Legend and Broadway’s Sir Andrew Lloyd Webber and Tim Rice all got an Emmy to go along with their Grammys, Oscars and Tonys, thanks to Jesus Christ Superstar Live in Concert. 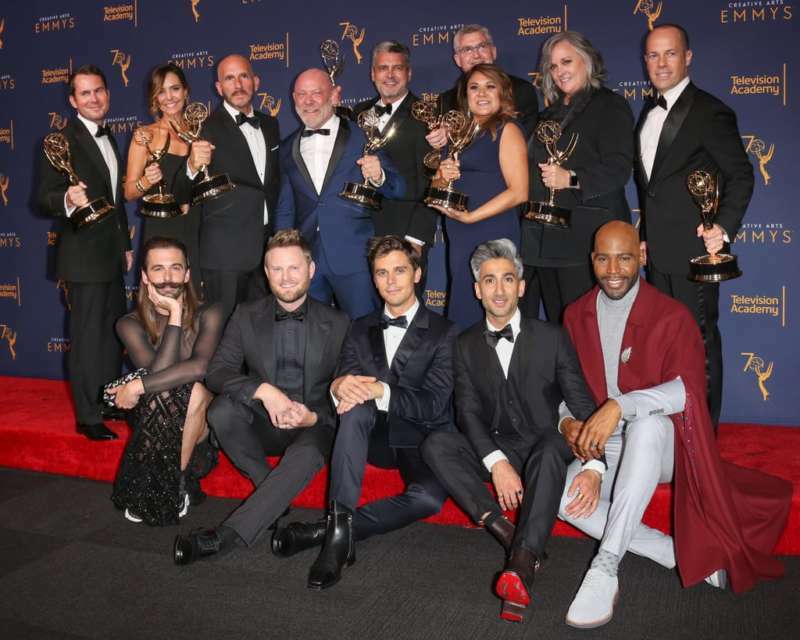 The Queer Eye cast and crew with their numerous Creative Arts Emmy Awards. 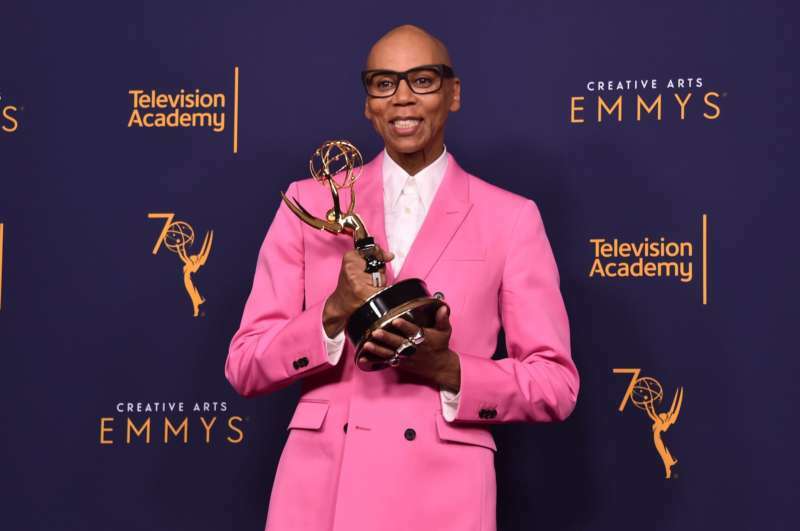 But most exciting for us were the numerous Creative Arts Emmy Awards that went to Queer Eye and RuPaul’s Drag Race. 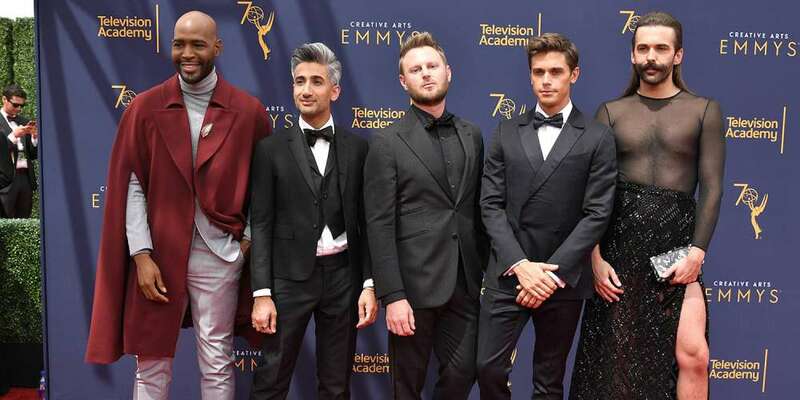 Queer Eye took home the Creative Arts Emmy for Outstanding Casting for a Reality Program, Outstanding Picture Editing for a Competition Reality Program and, most importantly, the show won Outstanding Structured Reality Program. 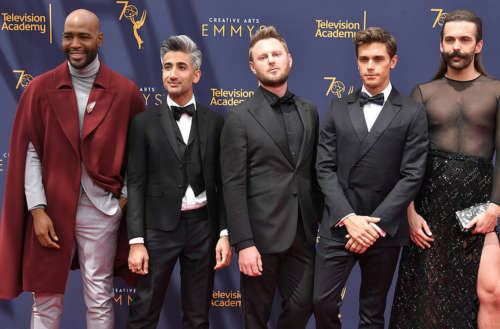 The only award Queer Eye was nominated for that it lost out on was for Outstanding Cinematography for a Reality Program. The National Geographic Channel series about Alaskan winters Life Below Zero nabbed that one. While Queer Eye won all but one of its awards, RuPaul’s Drag Race was nominated for 12 total awards (including two noms for Untucked), and won four. Drag Race ran away with awards for Outstanding Costumes for Nonfiction Programming, outstanding direction for the “10s Across the Board” episode and Outstanding Hairstyling — which went to Gabriel Villarreal (whom you likely know as Delta Work, contestant on Drag Race Season 3). But the biggest award went to RuPaul himself, for Outstanding Host for a Reality Program. This makes three consecutive years that RuPaul has taken home the honor, and Michelle Visage was on-hand to capture Ru’s acceptance speech. The awards-snatching for Drag Race isn’t up just yet, either. The series is nominated for Outstanding Reality-Competition Program against The Amazing Race, American Ninja Warrior, Project Runway, Top Chef and The Voice at the upcoming Primetime Emmy Awards, taking place and televised Sept. 17, and the series is considered a frontrunner. Other notable Creative Arts Emmy Award-winners include the “USS Callister” episode of Black Mirror (Outstanding TV Movie, Single-Camera Editing and Sound Editing), The Handmaid’s Tale (Outstanding Production Design, Single-Camera Editing and Guest Actress for Samira Wiley) and Rick and Morty (Outstanding Animated Program). Ryan Murphy‘s American Crime Story: The Assassination of Giani Versace also cleaned up in the technical awards, winning four — for Outstanding Casting, Contemporary Costumes, Hairstyling and Makeup. Head here for the full list of Creative Arts Emmy Award-winners.